Callender Howorth is a highly professional team of Belgravia interior architects, specialising in multi-discipline luxury design for residential and commercial properties. We have established a solid reputation for ourselves as skilled interior architects, offering bespoke services in design, architecture and renovation for a discerning international clientele. We invite you to browse our completed projects in the beautiful area of Belgravia and other prestigious boroughs of London. 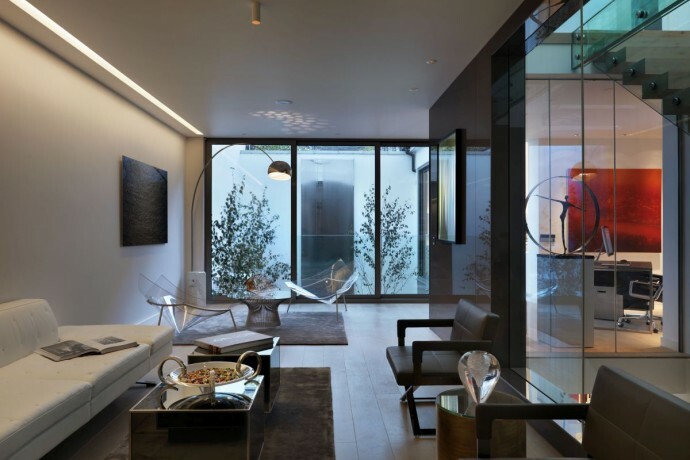 What have our interior architects designed in Belgravia? 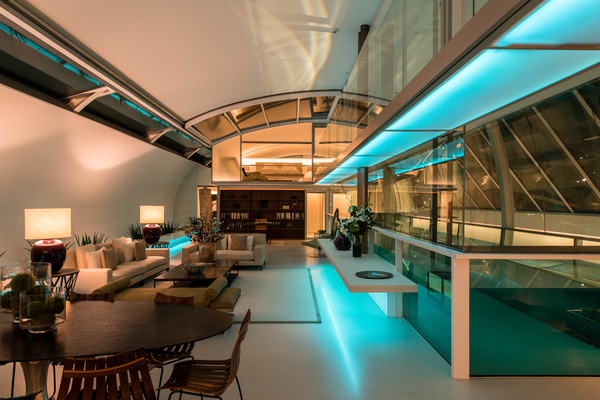 The most recent project that was undertaken by interior architects in Belgravia was a large-scale renovation next to Hyde Park, which transformed a well-appointed but tired-looking residence into a contemporary 5-storey home for a young family. The focus was on understated elegance and practicality and the final results exceeded all expectations. Our Mews House was a similar success story, demonstrating our attention to detail in creating the client’s ideal party pad. Behind the facade of a charming Victorian mews house, which is tucked behind Marylebone High Street, is hidden an ultra modern and chic interior. We completely gutted the whole top floor to create a huge master bedroom and renovated the entire house with ultra-sleek touches, including coloured glass walls and a contemporary art collection. We also brought a rather bland and uninspiring Knightsbridge penthouse back to life by installing contemporary fittings, custom wall murals, a hidden wine fridge and a wireless music system. White, colonnaded buildings – which exude an understated, classic style – characterise Belgravia. The region’s history dates back to the establishment of the Grosvenor Estate in 1677, when heiress Mary Davies married Sir Thomas Grosvenor. Later, one generation of their family developed Eaton and Chester Square. The Grosvenor family’s estate surveyor, Thomas Cundy II, created the grand terraced Wilton Crescent, which soon became home to many prominent British politicians, ambassadors and civil servants. The private residential garden of Lowndes Square lies west of Wilton Crescent and is surrounded by some of the most exclusive properties in the world, many of them designed by the distinguished architect, George Basevi, in the early nineteenth century. Which cultural attractions does Belgravia offer? The Royal Court Theatre is renowned for its promotion of new writing and experimental style, which attracts London’s best playwrights, who can often be spotted at the theatre’s welcoming bar and kitchen. The lavish Jazz Lounge at the Wellesley – the interior of which pays homage to Belgravia interior architecture of the 1920s – offers live piano music daily for a unique afternoon tea experience and provides a sumptuous fine dining experience on weekend evenings. If you’re in need of pampering, the spa at the Mandarin Oriental in nearby Knightsbridge has become a reputable institution and offers a haven of tranquillity where a series of treatments can be tailored to meet your every need. Belgravia is teaming with fantastic fine dining options. Gordon Ramsay’s two Michelin-starred restaurant, Petrus, leads the way in modern French cuisine; followed by Michelin-starred Indian restaurant, Amaya; and the swanky, multi-levelled space, Kouzou, which specialises in Japanese food. Traditional Scottish fare can be found in Boisdale of Belgravia, which accompanies fine food with live jazz, and offers an upstairs cigar bar. If you prefer something a little more experimental, head to Dinner by Heston Blumenthal at the Mandarin Oriental: the cuisine is inspired by the celebrity chef’s expertise in 15th and 16th century cookery. The Orange Public House and Hotel is ideally located in nearby Pimlico and serves some fantastic gastro pub meals and Pont Street at Belgraves offers a varied dining experience. If you prefer to shop and dine, Belgravia is in close proximity to the world famous Harrods and Harvey Nichols, the latter of which contains the elegant Fifth Floor restaurant. Why would you want to live there? Which famous celebrities live in Belgravia? Belgravia is well placed for families since there are a number of schools and pre-schools, including the coeducational Eaton Square School and Francis Holland School for girls. Former and current residents of Belgravia include many high profile politicians, including former Prime Ministers Stanley Baldwin, Winston Churchill and Neville Chamberlain. It was also home to actor Christopher Lee, as well as a temporary residence for composers Wolfgang Mozart and Frederic Chopin. Please contact a member of the Callender Howorth design team to discover how Belgravia interior architects or Belgravia interior designers could complete your space.